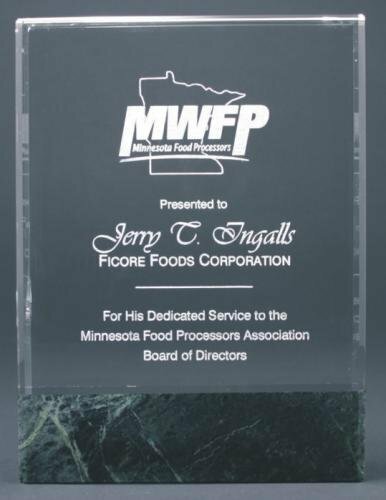 Marble Glass Awards accented with marble make a very nice combination for any marble glass award presentation including employee awards, associate awards, sales awards and more. These glass awards come with genuine marble accents and/or bases. 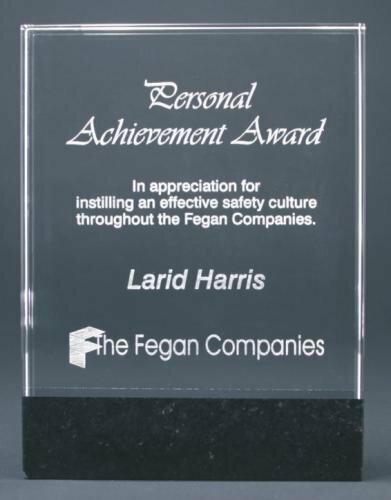 Each marble glass award is laser engraved instead of the traditional sand blast technique providing you with better details on the artwork and engraving.